Journal Article: How efficient are market-based instruments in mitigating climate change in small emitter South Asian economies? Sources of Manufacturing Output Growth in South Korea and Taiwan. Mahadevan, Renuka and Asafu-Adjaye, John Agricultural development and trade liberalisation : implications for a small island state. New York, NY, United States: Nova Science Publishers, 2008. Mahadevan, R. Sustainable growth and economic development: A case study of Malaysia 1st ed. Cheltenham, United Kingdom: Edward Elgar, 2007. Mahadevan, Renuka The Economics of Productivity in Asia and Australia. Cheltenham, United Kingdom: Edward Elgar, 2004. Mahadevan, Renuka and Asafu-Adjaye, John (2011). The sugar industry. In Peter T. Jenkins (Ed. ), The sugar industry and cotton crops (pp. 251-271) New York, NY, United States: Nova Science Publishers. How Successful is Poverty Alleviation in Malaysia? 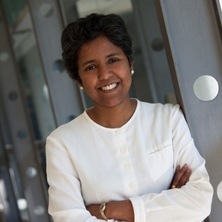 Mahadevan, R. (2007). How Successful is Poverty Alleviation in Malaysia?. In Tisdell, C.A. (Ed. ), Poverty, Poverty Alleviation and Social Disadvantage: Analysis, Case Studies and Policies 1st ed. (pp. 844-861) New Delhi: Serials Publications. Poverty in Malaysia: New wine in an old bottle? Mahadevan, Renuka (2007). Poverty in Malaysia: New wine in an old bottle?. In C. A. Tisdell (Ed. ), Poverty, Poverty Alleviation and Social Disadvantage: Analysis, Case Studies and Policies (pp. 822-843) New Delhi, India: Serials Publications. Mahadevan, R. (2005). Malaysia in the Era of Globalisation. In C.A. Tisdell (Ed. ), Globalisation and World Economic Policies 1st ed. (pp. 217-228) India: Serials Publications. How efficient are market-based instruments in mitigating climate change in small emitter South Asian economies? Profiling volunteers at a regional folk festival in Australia: who are they and do they value the festival differently from visitors? Will volunteers in a youth sports event become paying visitors? Mahadevan, Renuka and Asafu-Adjaye, John (2015) Exploring the potential for green revolution: a choice experiment on maize farmers in Northern Ghana. African Journal of Agricultural and Resource Economics, 10 3: 207-221. Is There a Link Between Poverty and Food Security? Unilateral liberalisation or trade agreements: which way forward for the Pacific? Pegg, Shane, Patterson, Ian and Mahadevan, Renuka (2013) The economic benefits associated with grey caravanners' involvement in organised rallies in regional Queensland, Australia. International Journal of Event Management Research, 8 2: 1-12. Mahadevan, Renuka (2009) The sustainability of export-led growth: The Singapore experience. Journal of Developing Areas, 43 1: 233-247. Mahadevan, Renuka (2009) The rough global tide and political storm in Fiji call for swimming hard and fast but with a different stroke. Pacific Economic Bulletin, 24 2: 1-23. Mahadevan, Renuka (2009) The withdrawal of EU sugar preferences and the bittersweet reform pill for Fiji. Pacific Economic Bulletin, 24 2: 82-94. The poverty transition: When, how and what next? Mahadevan, R (2006) Growth with Equity: The Malaysian Case. Asia-Pacific Development Journal, 13 1: 27-52. Is there a case for low inflation-induced productivity growth in selected Asian economies? Poverty in Malaysia: New Wine in and Old Bottle? Mahadevan, R (2006) Poverty in Malaysia: New Wine in and Old Bottle?. Indian Development Review, 4 2: 301-321. Mahadevan, R (2004) A disequilibrium macroeconometric model for the Indian economy. Australian Journal of Agricultural And Resource Economics, 48 3: 560-562. Mahadevan, R. (2004) To measure or not to measure TFP growth? Comment on "unequivocal no" reply. Oxford Development Studies, 32 2: 29-30. How cost efficient are Australia's mining industries? Is output growth if Korean manufacturing firms productivity driven? Mahadevan, R. (2003) Productivity growth in Indian agriculture: The role of globalization and economic reform. Asia-Pacific Development Journal, 10 2: 57-72. To Measure or Not To Measure Total Factor Productivity Growth? Mahadevan, R. (2002) A DEA Approach to Understanding the Productivity Growth of Malaysia's Manufacturing Industries. Asia Pacific Journal of Management, 19 4: 587-600. Has Korean Manufacturing Production Reached its Full Potential? How income elastic is the consumers' demand for services in Singapore? Mahadevan, R. and Kalirajan, K.P. (2002) How income elastic is the consumers' demand for services in Singapore?. International Economic Journal, 16 1: 95-104. Is There a Real TFP Growth Measure for Malaysia's Manufacturing Industries? Mahadevan, R. (2002) Is There a Real TFP Growth Measure for Malaysia's Manufacturing Industries?. ASEAN Economic Bulletin, 19 2: 178-190. Mahadevan, R. (2002) Perspiration Versus Inspiration in Malaysian Industrialisation. Economia Internazionale/International Economics, 55 4: 500-519.
Review of Accelerating Growth through Globalization of Indian Agriculture edited by K.P. Kalirajan, G. Mythili and U. Sankar. Macmillan, India 2001. 364 pp. Mahadevan, R. (2002) Review of Accelerating Growth through Globalization of Indian Agriculture edited by K.P. Kalirajan, G. Mythili and U. Sankar. Macmillan, India 2001. 364 pp.. Journal of Economic Studies, 29 2: 175-176. Mahadevan, R. (2002) Trade Liberalization and Productivity Growth in Australian Manufacturing Industries. Atlantic Economic Journal, 30 2: 170-185. Mahadevan, R. (2002) What Is and Is Not Measured by Total Factor Productivity Growth Studies for Malaysia: A Literature Survey. Malaysian Journal of Economic Studies, 34 1 & 2: 21-31. Did financial deregulation since the 1980's prior to 1997 affect the efficiency of Korean banks? Mahadevan, R. and Kim, S (2001) Did financial deregulation since the 1980's prior to 1997 affect the efficiency of Korean banks?. Indian Journal of Quantitative Economics, 16 1-2: 81-99. Mahadevan, R. and Asafu-Adjaye, J. (2001) Impact assessment of some pollution abatement policies with macroeconomic adjustments in Australia. Pacific and Asian Journal of Energy, 11 2: 109-128. Mahadevan, R. (2000) Competitiveness of the Singapore economy: A strategic perspective. ASEAN Economic Bulletin, 17 1: 93-94. How productive is foreign direct investment in the Malaysian manufacturing sector? Mahadevan, R. (2000) How productive is foreign direct investment in the Malaysian manufacturing sector?. Indian Journal of Quantitative Economics, 15 1 & 2: 1-29. How technically efficient are Singapore's manufacturing industries? Mahadevan, Renuka (1999) Productivity and growth in Chinese agriculture. The Asia Pacific Journal of Economics & Business, 3 2: 101-103. Kumar, Sunil and Mahadevan, Renuka (2008). Construction of an adult equivalence index to measure intra-household inequality and poverty: case study. 363, School of Economics, University of Queensland.